Buttoning up a jacket is a small yet significant thing that must be taken into consideration in order to pull off a suit exquisitely. There is no need to worry as we’ve collected all the tricks and tips and put them together so you can get it right! A suit is the gentleman’s best friend and there is no question that all of us must own at least one good suit. Despite the rules around how to wear it and all the does and don’ts, there is a certain prestige that comes once a guy puts on his favourite suit. To make the most out of the look you need to pay attention to what tie you should wear with it, how to choose the shoes to go with it, and even what type of shirts are more suitable. Most people overlook the importance of buttoning up the jacket or the waistcoat and don’t think twice about it. This is relevant because the way you button up - or don’t - sends a message out to the world. It’s a known fact that details can make or break an outfit and the way you button a jacket or blazer says more about your style than you would initially be inclined to believe. When it comes to buttoning up a jacket, there are a few rules all guys must take into consideration. To pull off this look you need to keep in mind that there is a suit buttoning etiquette, however, there are more significant things such as proportions, body built, and even comfort! In formal situations when a dress code is required, you must remember that the way you button up says everything and stands as the first, lasting impression. Not wearing a bespoke suit and even not succeeding at colour coordinating it can be forgiven, but basic things such as length, fit, and buttoning, are major mistakes in the eyes of many menswear style critics. The rumour has it that King Edward VII started the trend of not buttoning up the bottom button of his jacket and waistcoat. It was for practical reasons as the king is infamous for his roundness. His associates jumped on the bandwagon of Edward’s style, and wore the bottom button undone. At the time England was a colonial influence, therefore, the trend spread worldwide and it remained valid up until today. Another rule to keep in mind is that a suit should remain buttoned at all times until you sit, and it becomes absolutely necessary to unfasten the jacket. Button up as you stand up again. This is the more unconventional, dress-for-comfort, or your body shape rule. Those are some tips and tricks on how to use the proportions of a buttoned-up silhouette and dress to your advantage. When it comes to comfort, there is only one thing we can say. Do whatever feels good to you. Yes, buttoning a suit is very important and it says a lot about your sense of style, but none of these rules weight as much as comfort, which leads to confidence, which inevitably leads to looking on point. The majority of suits nowadays have a single-breasted jacket. Single-breasted refers to a coat, jacket, or blazer that has one column of buttons and a narrow overlap of fabric. They usually have two or three buttons and a notch lapel. 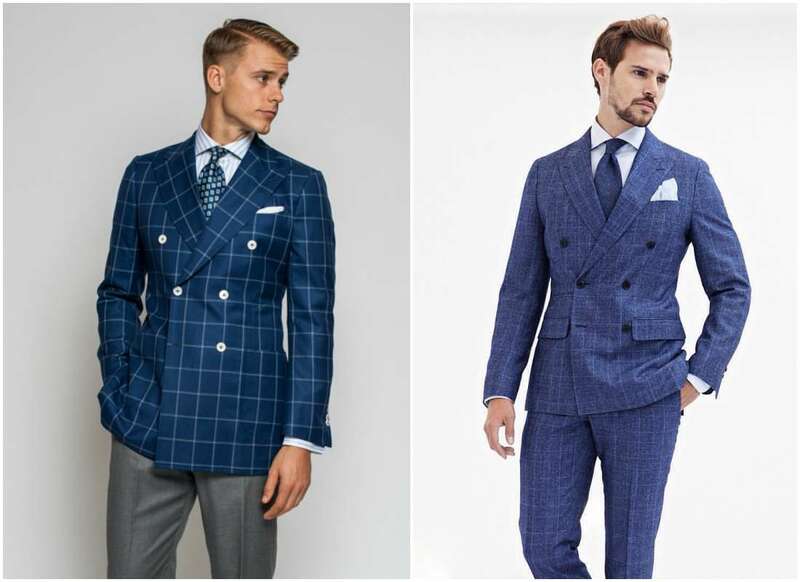 Single-breasted suits are more functional and appropriate for a variety of situations, therefore, every guy must be familiar with the three following choices. In regards to how to button single-breasted suits correctly, one must take into consideration where the buttons are placed on the jacket. A high-stance jacket’s buttons are placed at and above the natural waistline, while a low-stance jacket has buttons at and below the waist. 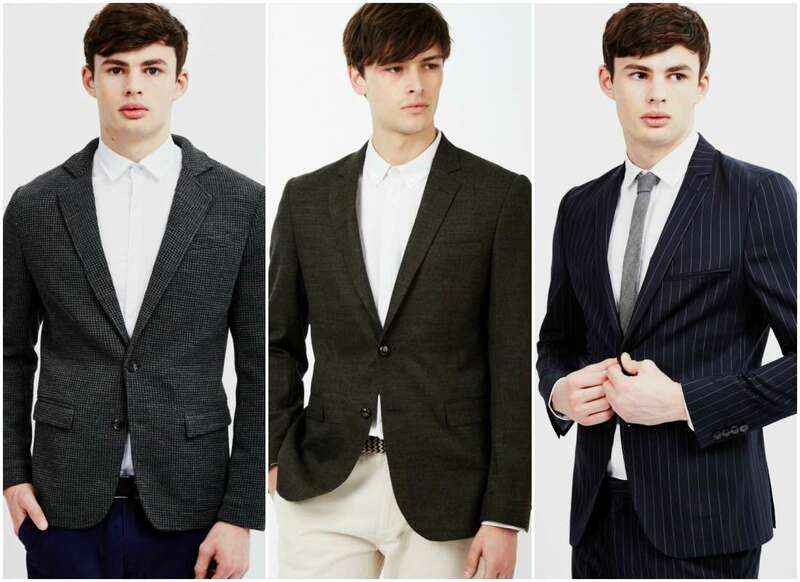 The one-button suit is the easiest to wear. The button must always be unfastened when sitting and fastened when standing up. Usually, the one-button suit style is the common go-to suit for a black tie event. Tuxedos with only one button make you look more elegant and give you a statuesque allure that with getting you all the positive attention. The 2 button suit is widely common and it is a popular choice amongst young professional guys. The top button should be buttoned and the bottom one left undone. Visually, it looks better this way, but it also grants you more freedom of movement. On the other hand, if it’s a high stance jacket, you can easily fasten the bottom button, and the waist should not be or feel too restricted. It will make your shoulders look a bit wider and your waist will appear to look slimmer. In this case, the best thing is to take a good look in the mirror and play with the buttons until you discover which option works best for you. This a where it all gets complicated! The safest option is to only button the middle button. The one option to avoid by all means is to only button the last button. It will make the jacket look baggy and unfitted. The best combination would be to fasten the last two buttons and leave the top one open. The benefits are numerous: it will show off the shirt's colour better, the tie will be seen better and create a nicer contrast, and also it will put the spotlight on your upper body. If you choose to button the top two buttons, make sure your belt and shoes match, as that will be the highlighted contrast. The term double-breasted refers to a coat or jacket that has wide, overlapping front flaps and two parallel columns of buttons. In most cases, one column of buttons has decorative purposes, while the other is functional. The other buttons, placed on the outside edge of the coat breast, allow the overlap to fasten. To strengthen the fastening, a functional inner-button, called the anchor button, is usually added to parallel-fasten the overlapped layers together from the inside. Over time, menswear history has seen several types of double-breasted jackets but only the 6x2 has survived and its worth considering for your wardrobe. This type of jacket is called the 6x2 because it has six buttons but only two of which can be fastened. On a male figure, this is the most flattering and fitting jacket as it wraps around the waist nicely and it highlights the shoulders. It imposes elegance and sophistication and you can bring it out on special occasions. Depending on where you are, or what even you might be attending, it's always good to know how to make the most out of your jacket's buttons. You might be a fan of buttoning all the way up and there is nothing wrong with that. In this case, there are two options. On one hand you can buy a suit and get it tailored to fit you like a glove. On the other hand, you get a suit made to measure. This would be the only time when a guy can fasten all the buttons as the suit will fit perfectly in all the right place and will not look odd from any angle. During the summer, we would ideally recommend to avoid using the buttons too much, primarily for practical reasons, and not for fashion necessarily. Summer is all about heat, sun, and thin clothes that let your skin breath and prevent you from getting sweaty. If you keep the buttons undone it will be more comfortable, easier to move, and it will look effortlessly cool. At work you are very likely to move up and down a lot, attend meetings, and keep yourself preoccupied around the office. It’s easier to wear the jacket unfastened while running all the errands. If you do need to attend a meeting or meet clients, remember to fasten the jacket and undo the buttons once you are sat in the board room. It’s called suit etiquette and it has to be respected regardless of how important the meeting is. People will notice how you present yourself and you should give them something to remember apart from what you bring to the table. Now that we covered the many ways of buttoning a suit, take a look at this style icon who know a thing or two about how and went to fasten the buttons. Prince Charles knows how to make and entry. Heads turn automatically not just because of his status, but also because he knows how to wear a suit. Especially a double-breasted suit. The colour he chose is versatile, perfect for a holiday, a business affair, or even a stylish date. Idris Elba is a gentleman whose exquisite style scored him a few magazine covers. He prefers to button up to top button on this two-button suit and transforms a simple grey suit in something worth of a red carpet appearance. Leonardo DiCaprio is a fan of classic suits and silhouettes, therefore, there is no surprise that he is usually spotted buttoned up completely. This works for his body and although all the buttons are fastened, he still looks comfortable and at ease. Jay Z’s metallic grey suit is a signature look for the rapper. He is not a fan of buttoning up at all, however, from time to time, he changes up and only fastens the top button . Kit Harrington knows how to make a good suit look even better. The fact that the jacket is undone makes him look fresh and casually elegant. This proves that a laid back style can look on point and put together if styled right. Every guy needs to know how to quickly sew a button in case of emergency. Get some needles and good thread from the pound shop and watch this video. No more excuses for walking around with a loose or missing button. You don’t need to spend money on a tailor and wait days to get your jacket back! 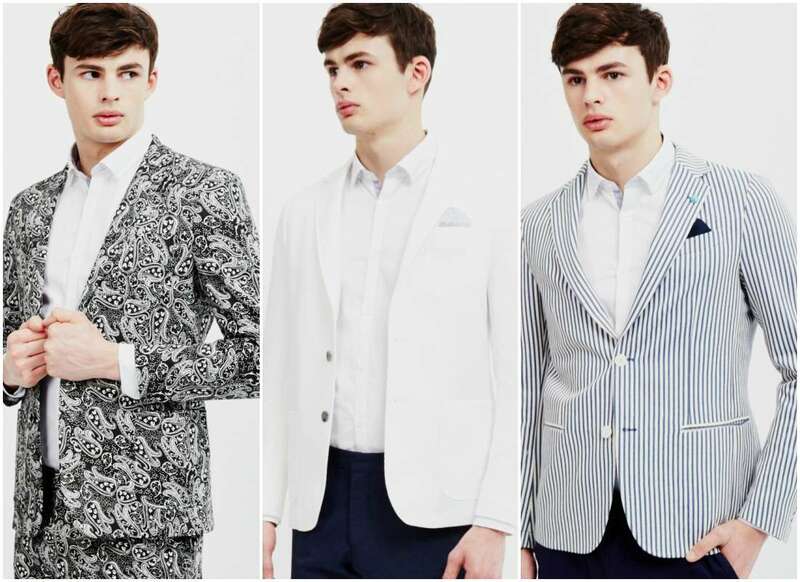 Buttoned down or not, a suit must always be kept clean and fresh. No lines, no spots, and definitely no elbow marks. The best way to extend the life of a jacket is to dry clean it from time to time. We have put together a few tips on dry cleaning and professional laundry services that will help you keep that expensive jacket in a good condition for years. We hope you gained all the relevant insight in how to button a suit and why certain buttons should be left unfastened. To make the most out of a jacket you need to know how to wear it, and that goes beyond all the small details that any fashion guide can provide. Grab a jacket, re-read the Quick Guide, and play for a minute in the mirror until you discover what works best for your body.